You won’t find a better crowd or a better party in Philadelphia than the one at Stats on 17th on New Year’s Eve. This brand new Philly hotspot boasts good booze, comfortable seating, and genial vibes that are unmatched in the popular Rittenhouse Square neighborhood. Start the night off at the five-hour premium open bar and fill your cup with your cocktail of choice again and again – it’s a holiday after all. A light buffet gets you fueled and ready for a night to remember while a live DJ spins a smoking set list of Top 40, house, and hip hop hits. There’s no doubt you’ll be in good company to dance through the night here at Stats. Take part in a DJ led countdown that culminates in a complimentary champagne toast when the clock strikes twelve. Bringing a crew? Amp up your night and show off with a VIP ticket that grants you perks like reserved seating and bottle service. 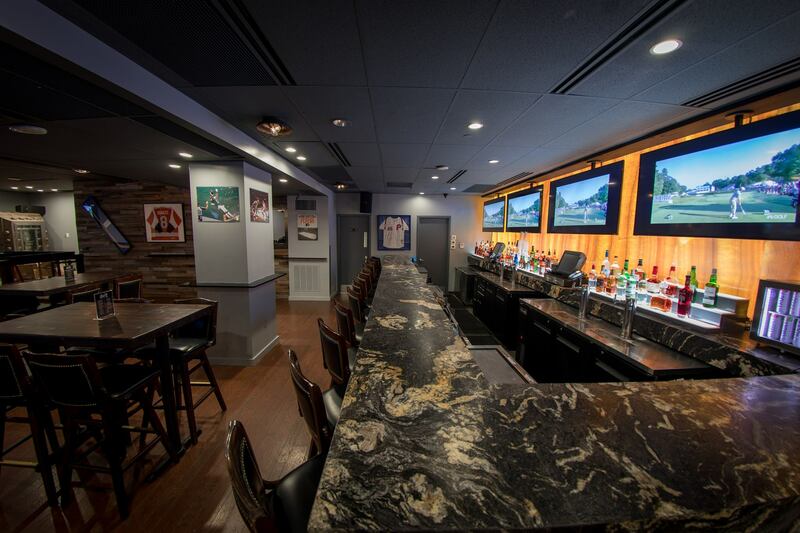 Stats on 17th is a Philadelphia nightlife devotee’s dream come true. It has all of your comfort essentials in elevated form. Beer buckets are white modern geometric vessels and forget one TV – Stats has an entire wall full of flatscreens. Shiplap covered walls and tufted leather couches give this space an upscale feel with homey energy. 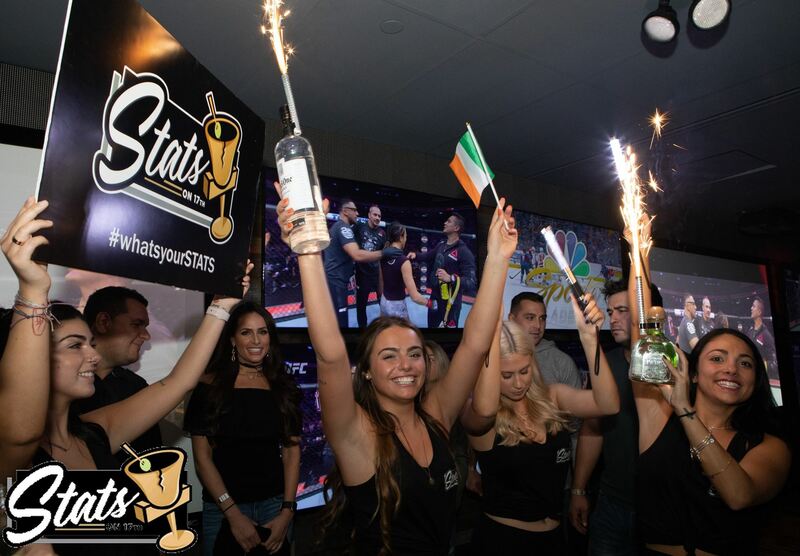 Kick off the year at Stats on 17th – where the best of Philly will be this New Year’s Eve. 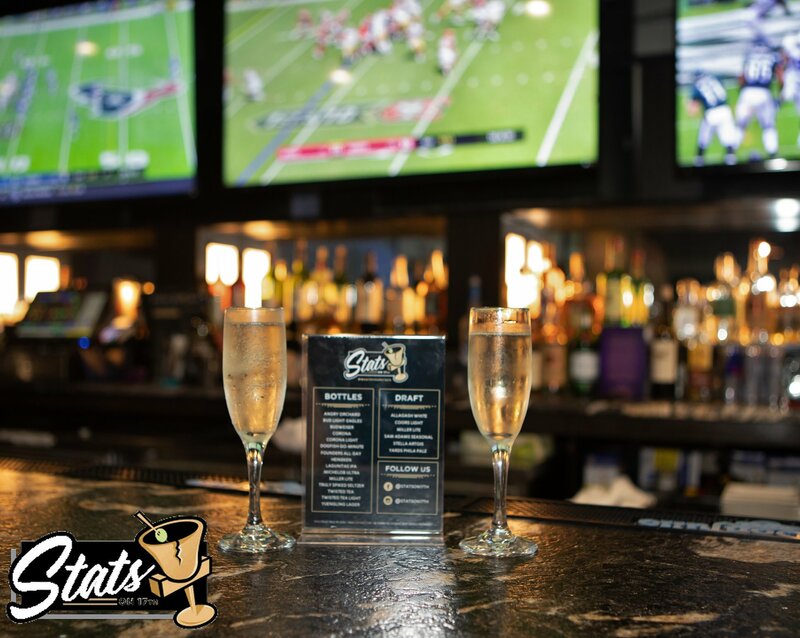 With a live DJ, open bar, and all of your favorite snacks, Stats is where it’s at this New Year’s Eve. Start the night off at the five-hour premium open bar and fill your cup with your cocktail of choice again and again – it’s a holiday after all. A light buffet gets you fueled and ready for a night to remember while a live DJ spins a smoking set list of Top 40, house, and hip hop hits. There’s no doubt you’ll be in good company to dance through the night here at Stats. Take part in a DJ led countdown that culminates in a complimentary champagne toast when the clock strikes twelve. Bringing a crew? Amp up your night and show off with a VIP ticket that grants you perks like reserved seating and bottle service. Stats on 17th is a Philadelphia nightlife devotee’s dream come true. It has all of your comfort essentials in elevated form. 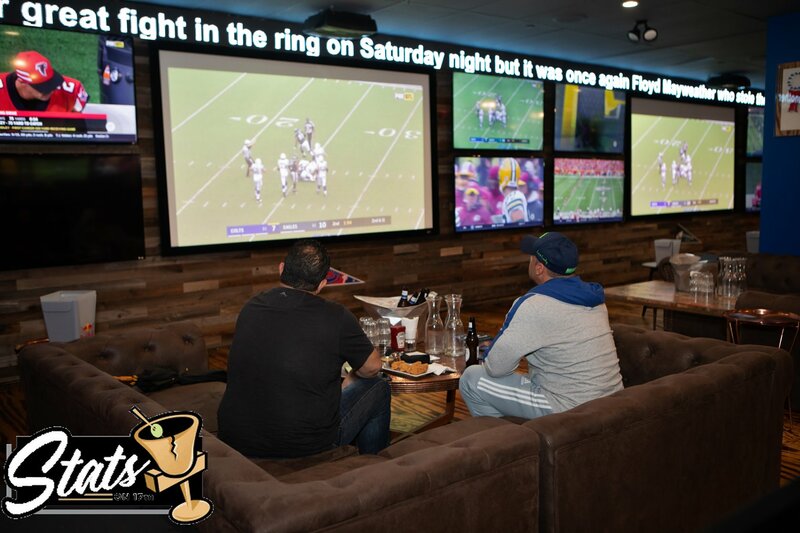 Beer buckets are white modern geometric vessels and forget one TV – Stats has an entire wall full of flatscreens. Shiplap covered walls and tufted leather couches give this space an upscale feel with homey energy. 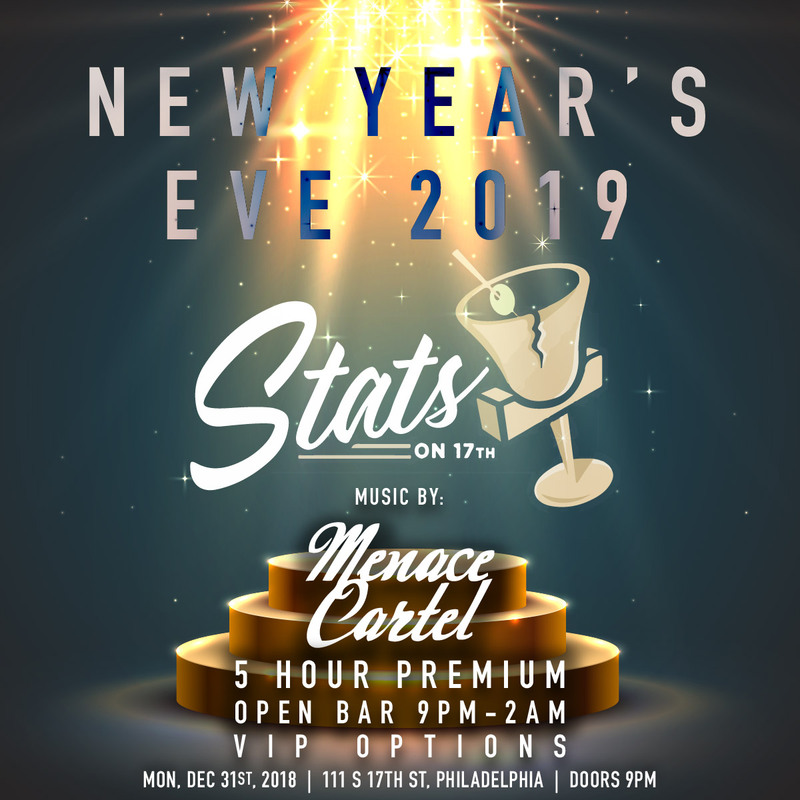 Kick off the year at Stats on 17th – where the best of Philly will be this New Year’s Eve. 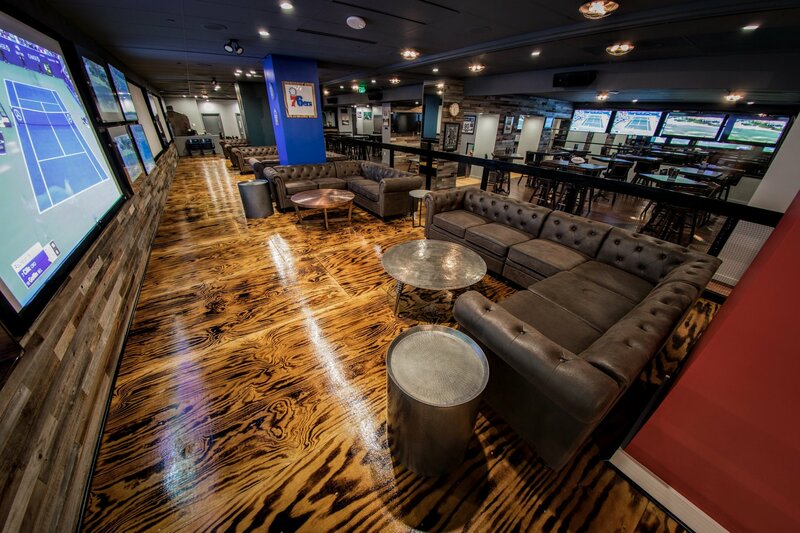 With a live DJ, open bar, and all of your favorite snacks, Stats is where it’s at this New Year’s Eve.